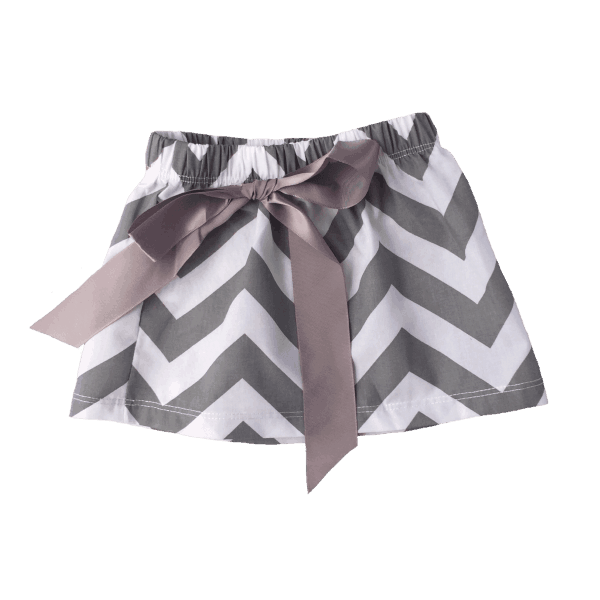 GREY AND WHITE CHEVRON PATTERN BABY SKIRT. 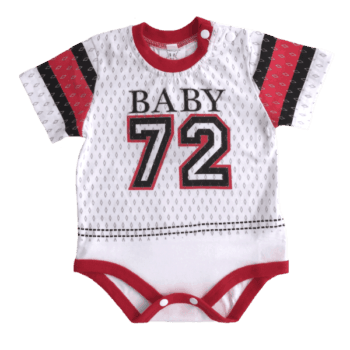 MADE FROM A COTTON BLEND FABRIC – PERFECT FOR SUMMER. A SATIN BOW ADDS A LITTLE MORE CUTENESS. 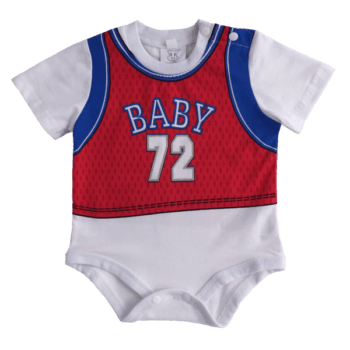 AVAILABLE IN ONE SIZE TO FIT 0-6 MONTHS OF AGE. 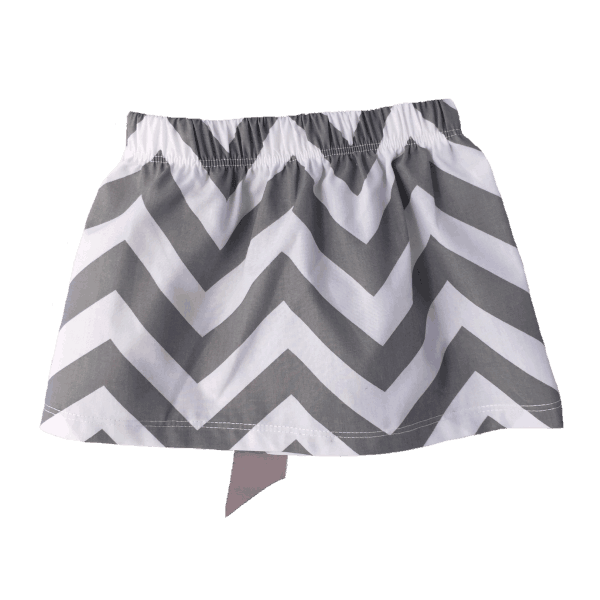 THIS BABY SKIRT IS ABOUT KNEE LENGTH.